Native to South America (i.e. Brazil, Peru, Argentina, Paraguay and Uruguay). 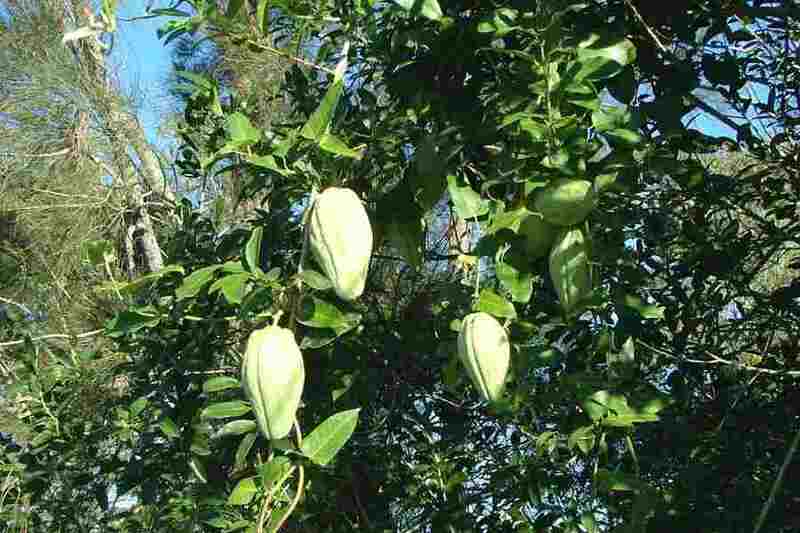 Moth vine (Araujia sericifera) has been widely cultivated as a garden ornamental, however it is rarely deliberately cultivated in gardens nowdays. Widely naturalised, particularly in the warmer temperate and sub-tropical regions of eastern Australia. It is most common in eastern New South Wales and south-eastern Queensland. 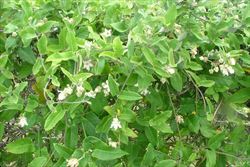 Less common or occasionally naturalised in the coastal districts of central Queensland, in inland New South Wales, in Victoria, in south-eastern South Australia and in the coastal districts of south-western Western Australia. Also naturalised on Lord Howe Island and possibly naturalised in the ACT and Tasmania. Naturalised overseas in southern Europe, the Azores, southern Africa, New Zealand and southern USA (i.e. California and Georgia). 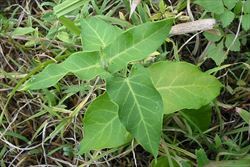 A weed of suburban bushland, open woodlands, forest margins, creekbanks, riparian vegetation, roadsides, fences, disturbed sites, waste areas, gardens, orchards, plantation crops, and occasionally also forestry plantations. It is mainly found in sub-tropical and warmer temperate regions, but may occasionally be found in cooler temperate and semi-arid areas. A robust and long-lived (i.e. perennial) climber with twining stems reaching up to 10 m in height when growing over taller vegetation. a robust and long-lived climbing plant with twining, finely hairy, stems containing milky sap. 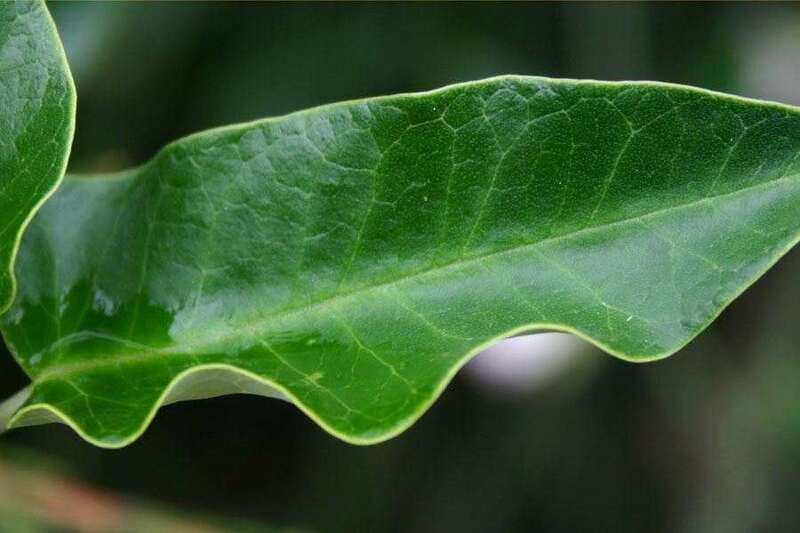 its paired leaves are more or less elongated triangular in shape (3-12 cm long and 1-6 cm wide), with dark green upper surfaces and whitish densely hairy undersides. 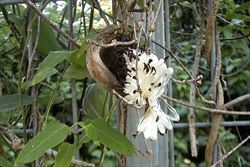 its white, cream or pale pink flowers are bell-shaped and have five petal lobes. these flowers are borne in few to several-flowered clusters in the upper leaf forks. 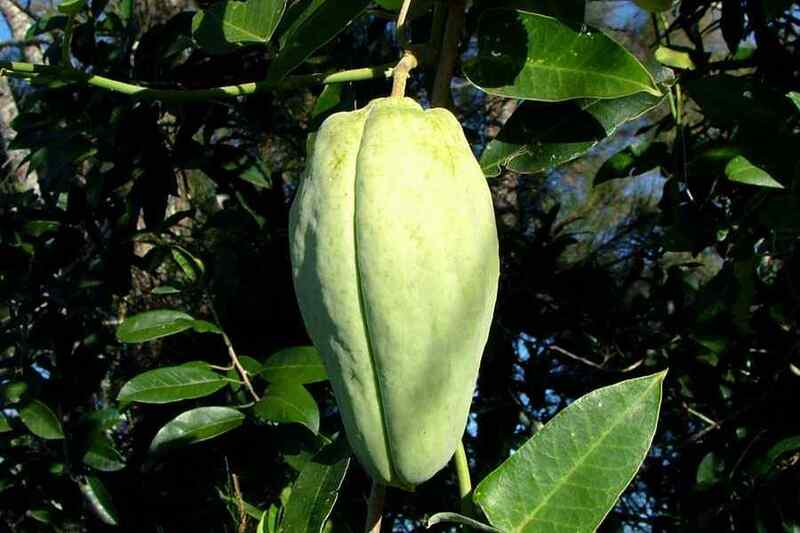 its large, egg-shaped fruit (6-12 cm long and 3-7 cm wide) resemble 'chokos', but have a pale bluish-green or greyish-green appearance. 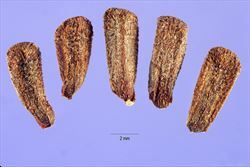 these fruit split lengthwise to release numerous blackish-coloured seeds (4-8 mm long) that are topped with a tuft of long white silky hairs (20-30 mm long). The grey or greyish-green coloured stems are robust and grow in a twining fashion. They are finely hairy when young and contain large amounts of a toxic, sticky, milky sap (i.e. latex). The leaves are paired (i.e. oppositely arranged) and are borne on stalks (i.e. petioles) 6-40 mm long. Their blades are more or less an elongated triangular shape (3-12 cm long and 1-6 cm wide) and are relatively thick and leathery in nature. Their upper surfaces are dark green and hairless (i.e. glabrous) or sparsely hairy (i.e. puberulent), while their undersides and pale green or whitish and densely covered in tiny hairs (i.e. finely pubescent). These leaves also have entire margins and pointed tips (i.e. acute, acuminate or mucronate apices). The bell-shaped (i.e. tubular) flowers have five sepals (8-13 mm long) and five petals (18-20 mm long) that are fused together at the base. The tips of these sepals (i.e. calyx lobes) and petals (i.e. corolla lobes) are usually curved outwards or backwards (i.e. they are recurved). The flowers (20-25 mm across and 8-20 mm long) may be either white, cream or pale pink in colour and sometimes have darker pink streaks in their throat. They are borne in few to several-flowered clusters (i.e. cymes) in the upper leaf forks (i.e. axils). At the centre of each flower is a crown-like structure (i.e. corona) with five incurved arms. The flowers also have five stamens and an ovary topped with two styles that are joined together at their tips. Flowering occurs from summer through to autumn, but is most abundant during summer. The large fruit (i.e. follicles) are egg-shaped (i.e. ovoid) or have a flattened (i.e. truncate) base and resemble 'chokos'. These fruit (6-12 cm long and 3-7 cm wide) have somewhat grooved surfaces that are pale bluish-green or greyish-green (i.e. glaucous) in appearance. When mature, they become woody, turn brown in colour, and split lengthwise down one side to release hundreds of wind-borne seeds. These seeds (4-8 mm long) are blackish in colour and topped with a tuft of long white silky hairs (i.e. coma) 20-30 mm long. This plant reproduces mainly by seed, which are easily spread by wind and also float on water. Dispersal of seeds can also occur in dumped garden waste and contaminated fodder. Moth vine (Araujia sericifera) is regarded as a significant environmental weed in New South Wales and Queensland, and a minor environmental weed in Victoria and South Australia. 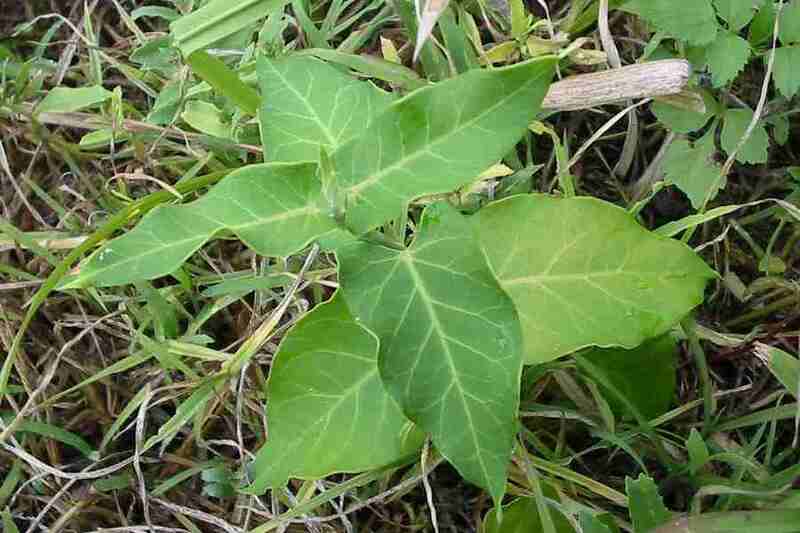 It was recently listed as a priority environmental weed in three Natural Resource Management regions. This species climbs up any supporting vegetation and its dense growth eventually smothers smaller trees and shrubs. 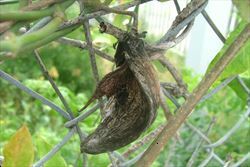 It can bring down these plants with the weight of its tangled growth and may even impede larger trees in the overstorey. Moth vine (Araujia sericifera) also spreads over the ground, smothering groundcover plants and preventing the regeneration of overstorey species. Hence, it may act as transformer species, altering the nature of the vegetation where it invades. 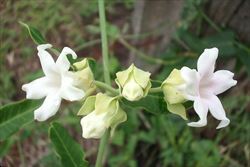 In south-eastern Queensland, where it is ranked among the top 30 most invasive plant species, moth vine (Araujia sericifera) is often found in rainforest remnants, vine scrubs, wet sclerophyll forests and in riparian vegetation. It also inhabits the same vegetation types in eastern New South Wales and appears on many local and regional environmental weed lists in this state (e.g. the Bushland Friendly Nursery Scheme environmental weeds list for north-eastern New South Wales, the Australian Association of Bush Regenerators (AABR) environmental weed list for the wider Sydney and Blue Mountains region, the Warringah Council environmental weeds register, the noxious and environmental weed list for the Hunter and Central Coast region, and on environmental weed lists for the Southern Highlands and South Coast regions). 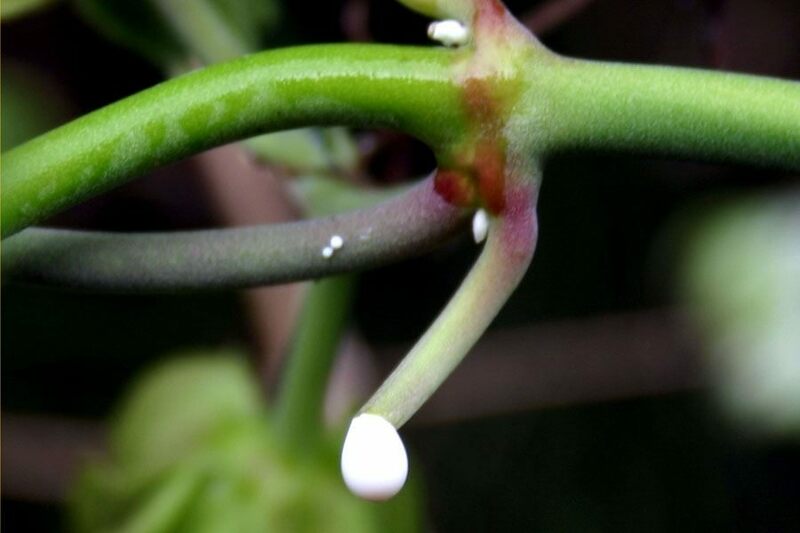 The "invasion and establishment of exotic vines and scramblers" has been listed as a "key threatening process" in New South Wales, and moth vine (Araujia sericifera) is one of the species specifically mentioned as contributing to this process. Such species are thought to be adversely affecting threatened species, populations or ecological communities in New South Wales. 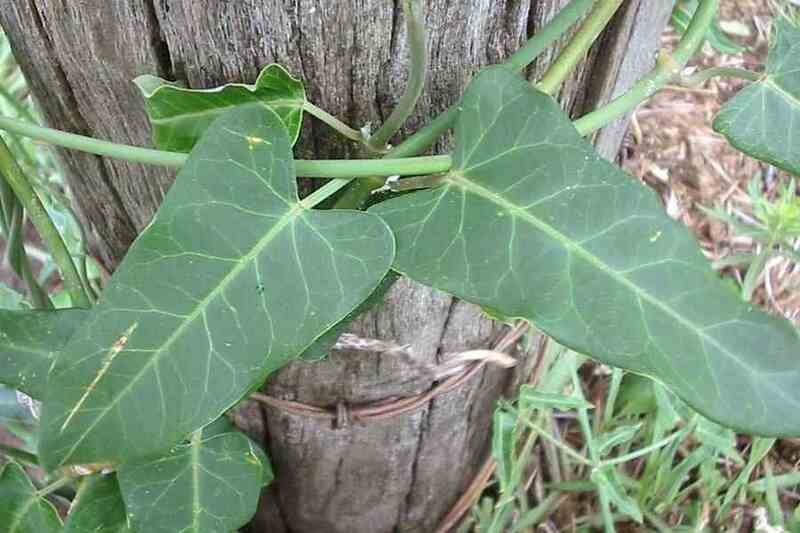 For example, moth vine (Araujia sericifera) is listed as a principal weed species affecting sub-tropical coastal floodplain forests in the North Coast bioregion and Illawarra sub-tropical rainforests in the Sydney Basin bioregion, ecological communities which are both listed as endangered in this state. 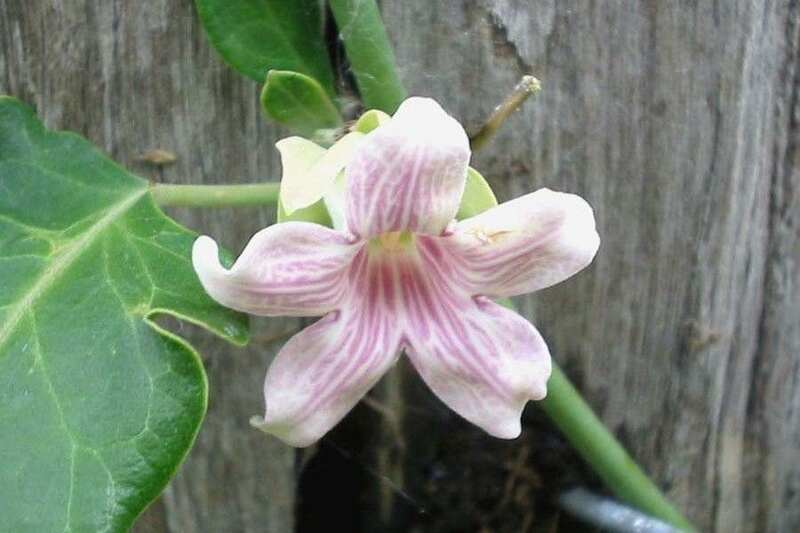 Moth vine (Araujia sericifera) has a relatively limited distribution in other parts of Australia. 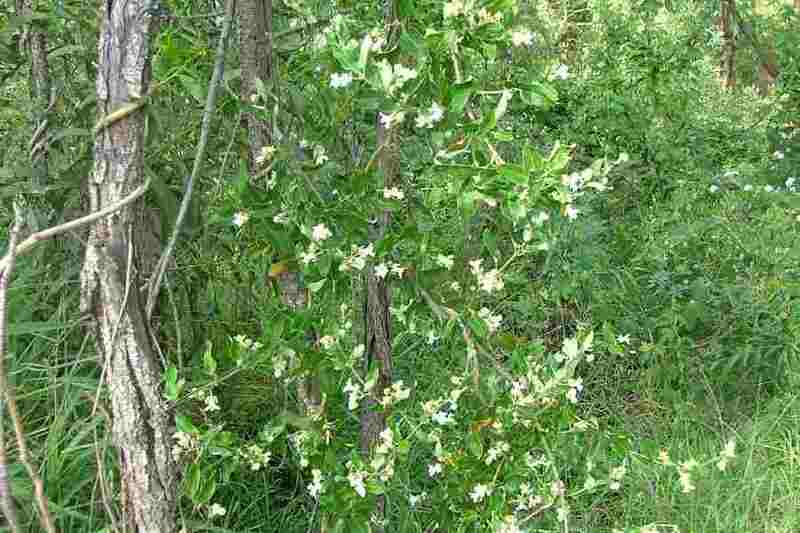 However, it has invaded riparian vegetation and damp sclerophyll forest in Victoria. This species is considered to be poisonous to livestock (e.g. cattle), domestic animals (e.g. poultry and dogs) and humans. Contact with its milky sap also causes skin and eyes irritations, and occasionally even severe allergic reactions in susceptible people. New South Wales: Class 4 - a locally controlled weed. The growth and spread of this species must be controlled according to the measures specified in a management plan published by the local control authority and the plant may not be sold, propagated or knowingly distributed (in the Pittwater local authority area only). Western Australia: Unassessed - this species is declared in other states or territories and is prohibited until assessed via a weed risk assessment (throughout the entire state). the Sutherland Shire Council weed fact on this species, which is available online at http://www.sutherland.nsw.gov.au. the Moth plant page on the South Coast Weeds website at http://www.esc.nsw.gov.au/Weeds/index.asp. moth plant (Araujia sericifera) has finely hairy young stems and leaves with whitish, finely hairy, undersides. Its flowers are white, cream or pale pink and relatively large with short tubes (corolla tubes 8-14 mm long, corolla lobes 5-10 mm long). The large fruit (6-12 cm long and 3-7 cm wide) are pear-shaped, rather broad, and resemble 'chokos'. tweedia (Oxypetalum caeruleum) has densely hairy young stems and leaves with hairy undersides. Its flowers are bright blue and moderately-sized (corolla tubes 4-5 mm long, corolla lobes 9-12 mm long). 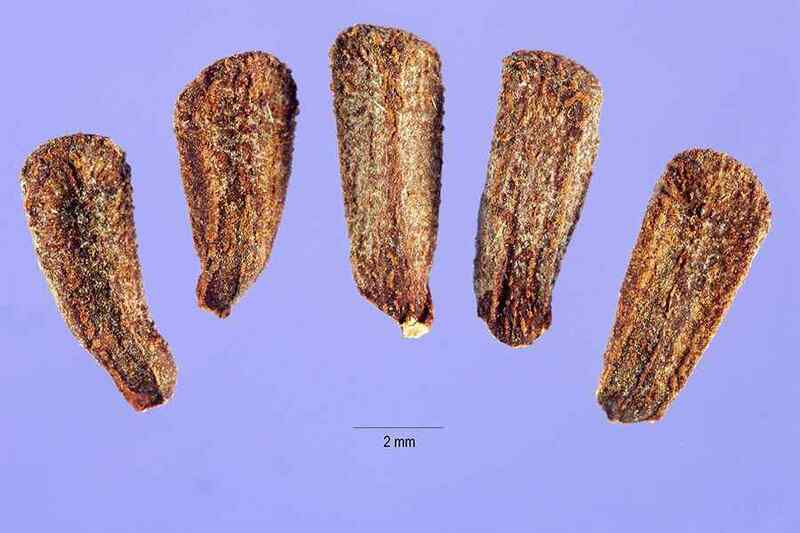 The long fruit are relatively slender (8-11 cm long) and cigar-shaped. 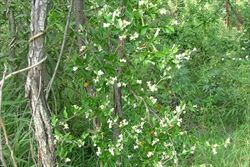 wax flower (Stephanotis floribunda) has hairless young stems and leaves that are entirely hairless. 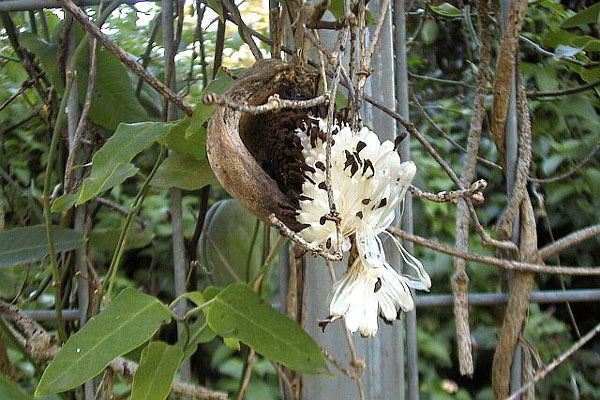 Its flowers are pure white and relatively large with long tubes (corolla tubes 25-50 mm long, corolla lobes 5-10 mm long). The large fruit (7.5-10 cm long) are egg-shaped (i.e. ovoid) or slightly elongated in shape. common milk vine (Marsdenia rostrata) has hairless or sparsely hairy young stems and leaves that are entirely hairless. 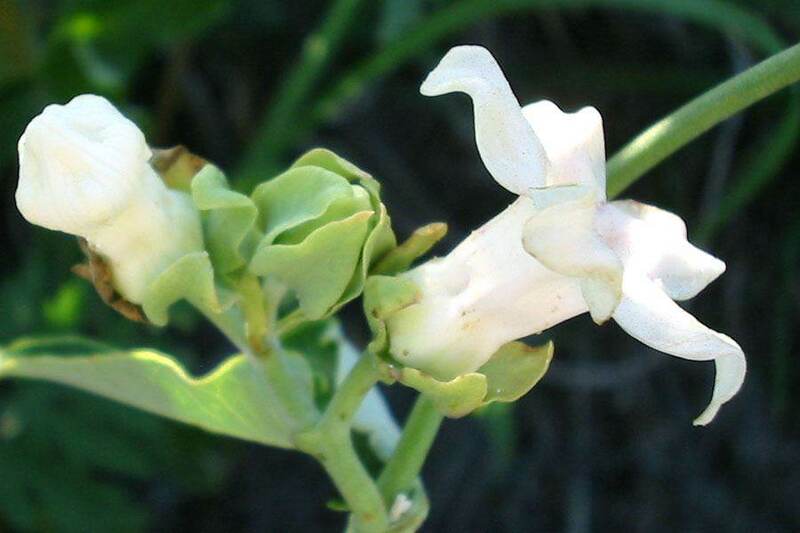 Its flowers are cream or whitish and relatively small (corolla tubes 1.5-2.5 mm long, corolla lobes 3.5-5 mm long). The large fruit (5-7 cm long) are egg-shaped (i.e. ovoid) or slightly elongated in shape. 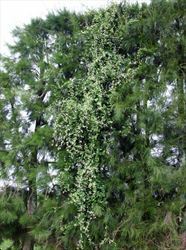 It is also similar to other native milk vines (Marsdenia spp.) and the silkpods (Parsonsia spp. 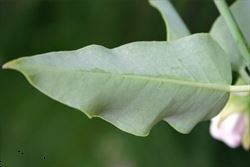 ), many of which all have milky sap and opposite leaves. However, these species usually have smaller yellowish flowers and their fruit are generally long and narrow in shape.